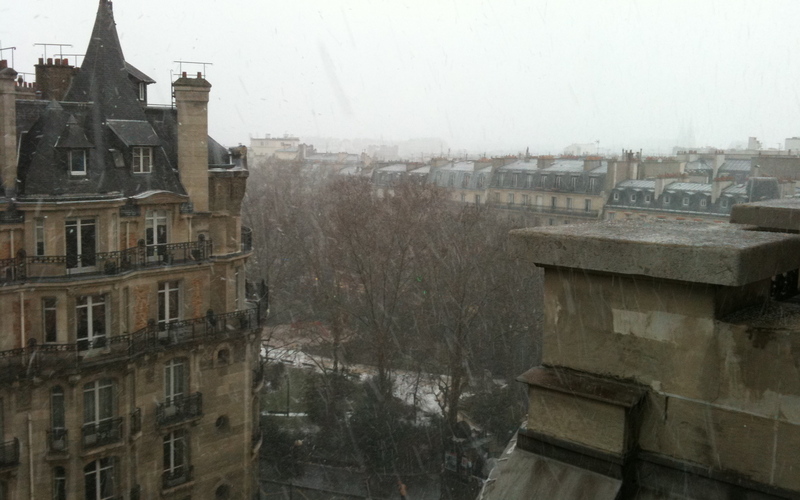 FRANCE: I narrowly escaped a snowstorm which ultimately paralyzed the Northeast only to find myself landing in Paris in the middle of a – you guessed it – snowstorm. But, of course, it’s Paris, so despite the aching cold it was also achingly beautiful. (Plus, a pair of newly-acquired woolly French long johns kept me from succumbing to the elements.) 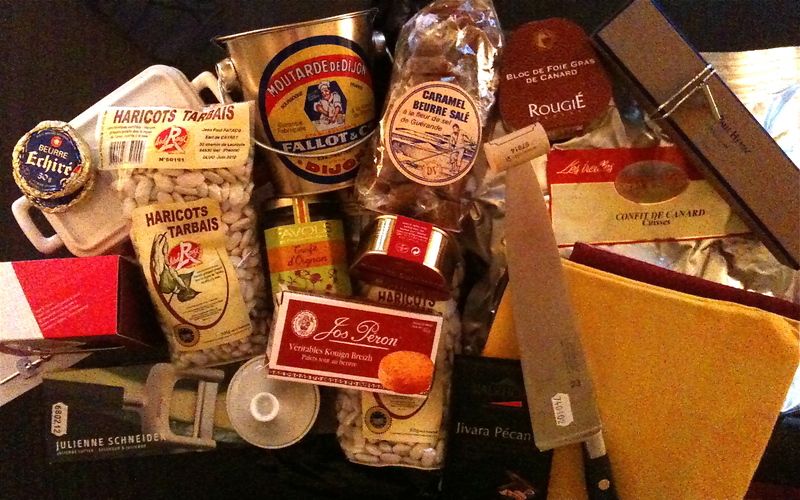 I had cassoulet on the brain – I blame the cold – and it led me on a foraging expedition through a handful of my favorite shops in the 2nd arrondissement: the mothership E. Dehillerin, La Bovida, G. Detou, Mora, and new favorite victualler, Comptoir de la Gastronomie, where I chanced upon both haricot Tarbais and duck confit, conveniently vacu-sealed as if awaiting a trans-Atlantic journey inside my luggage. The foraging paid off handsomely. Not only did I return home to concoct a splendid cassoulet, I also ultimately invented the “cassoulet cake,” a brilliant – if i do say so myself – use of leftover beans and duck.